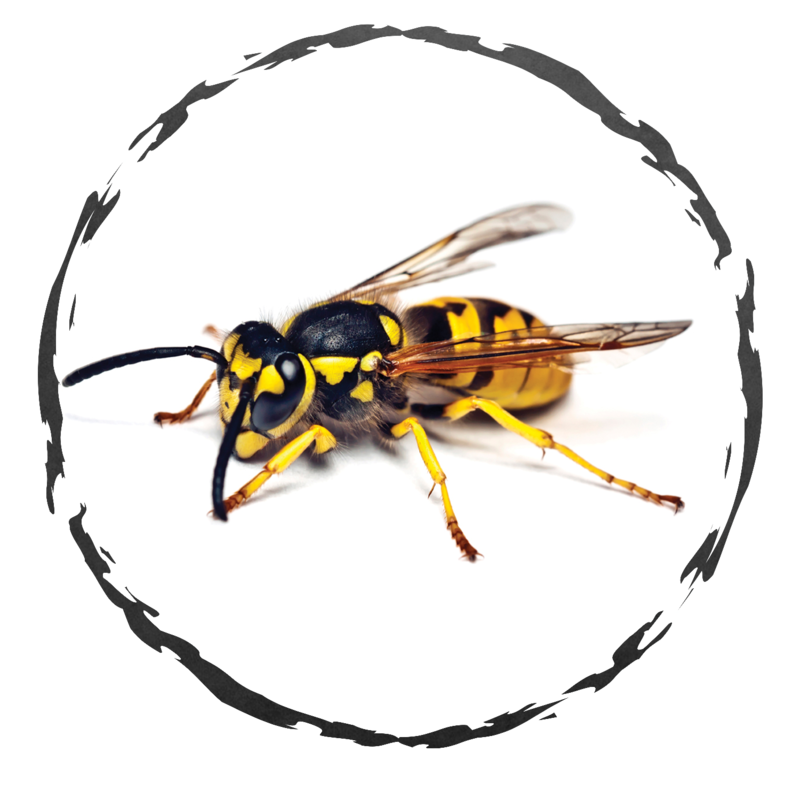 Exodus Exterminating- Stinging Insects | Exodus Exterminating Inc.
Wasps, hornets and bees, once established, can threaten your property with thousands of potentially harmful invaders. When disturbed, they sting readily and aggressively. Reaction to stings may range from mild irritation to severe and potentially life threatening situations in sensitive individuals. Over-the-counter treatments may kill any stinging insects on contact, but caution must be taken to avoid being attacked. Treatment for established nests should best be left to professionals. We can help you control wasps, hornets and bees. We provide stinging insect prevention services from early spring till late July. This service is designed to target the treatment of favored nesting areas like peaks, eaves, shutters, gutters, gables, vents and railings. We will apply a residual insecticide to these areas to deter wasps, hornets and bees from establishing nests. If after we have applied this treatment you should experience stinging insects anywhere on your property, we will return to eliminate the nests at no charge. From August through November, if you have not opted for preventative treatment, we can still rectify your stinging insect problem. Nests discovered this late in the season are very established and highly populated, all the more reason to contact a professional. *DO NOT attempt to treat activity that appears to be occupying a structural void with aerosol sprays. This may result in wasps or hornets to inadvertently enter the structure, increasing the risk of stings. This condition can cause serious results, call for professional assistance. *DO NOT attempt to seal hornets in a crack or crevice with caulking or other sealants in hopes of eliminating the problem; this will only complicate the problem. If activity indicates hornets are occupying a void, call for professional assistance.